Early this year, then Prime Minister Julia Gillard spoke to Parliament about some of the positive trends that are emerging in the long-term goal of the Government to “Close the Gap” for Australian Indigenous disadvantage. She described Closing the Gap as ‘an accumulation of small victories’ which can provide ‘the basic public services…delivered at the standard that every Australian expects’. The general theme is that some things are improving, albeit slowly, and others need to get a wriggle on. With a team at the University of Melbourne, we have researched and consulted widely over the past five years to come up with a plan to “Close the Gap” in Indigenous eye health. ‘The Roadmap to Close the Gap for Vision’ presents an opportunity for another ‘small victory’ by eliminating preventable vision loss for Indigenous people over the next five years. This is the first time Indigenous eye health has been comprehensively researched to identify the problems, needs and solutions. Previous reports on Indigenous eye care have been limited to reviews and the findings have been implemented incompletely at best. ‘The Roadmap to Close the Gap for Vision’ has drawn on successful examples and practices from around the country and extensive community and stakeholder consultation. Best of all, it is feasible and doable, but each component is essential for success. The key to the Roadmap is the comprehensive approach that will improve the provision and utilisation of eye services by the application of additional resources to increase the availability of eye care and provide good co-ordination and case management of patients. Indigenous Australians experience six times the rate of blindness compared with the rest of Australia. Vision loss causes 11 per cent of the Gap in health – it is equal third with trauma, following heart disease and diabetes but ahead of stroke and alcoholism. The provision of good quality eye care is fundamental to improving the health of Indigenous Australians and unlike many other conditions, most vision loss can be eliminated overnight. The Roadmap provides policy recommendations to eliminate unnecessary vision loss through 42 interlocking strategies. The recommendations build on previous reports from the Indigenous Eye Health Unit at the University of Melbourne and an extensive consultation process with the community-controlled sector, eye health professionals, governments and other stakeholders. The Roadmap addresses primary eye care, refractive services, cataract, diabetic eye disease and trachoma. It includes cost estimates for the Commonwealth, state and territory governments. It builds on community consultation and control, the regional delivery of services and the National Health Reforms. It stresses the assessment of population-based needs, strong co-ordination, monitoring of performance and national accountability. A recent Victorian initiative is one example of the difference a co-ordinated approach that involves all the key partners and addresses one of the concerns raised as a barrier can make. 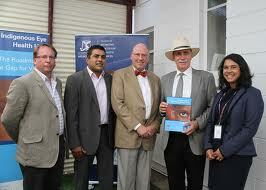 The Victorian Eyecare Service was augmented in 2010 by the Victorian Government with funds to allow Aboriginal Victorians access to a specifically designed pair of spectacles for $10. The scheme is available from optometrists working in Aboriginal Health Services and through a network of private optometrists in rural Victoria. There is no requirement for a health care card or pensioner status to be eligible for access to the scheme. The introduction of this scheme in 2010 has been followed by a more than twofold increase in demand. Cost is identified as the most common reason Indigenous people do not go to a health professional when needed. However, rather than cost, we found that cost-certainty was the more important issue. Cost-uncertainty for spectacles was commonly reported to the research team as the reason for not visiting the optometrist and not having eyes tested. The Victorian scheme demonstrates that when good quality spectacles are provided at a low and certain cost, the service is rapidly accepted and taken up. All Australians reasonably expect to see clearly and comfortably and to have healthy eyes. We all fear vision loss and blindness given its considerable potential impact on the quality of our lives. The Roadmap to Close the Gap for Vision provides opportunity to accumulate yet another small victory to reduce Indigenous disadvantage. We have the evidence, the strategy and the capacity to close the gap for vision – the time is right to take this next “small step”. The Indigenous Eye Health Unit would like to acknowledge support from the following donors; The Harold Mitchell Foundation, The Ian Potter Foundation, Mr Greg Poche AO, the University of Melbourne, Dr David Middleton, Mr Peter Anastasiou, Mr Rob Bowen, Dr Vera Bowen, Mr Noel Andresen, Dr Mark & Alla Medownick, Gandel Philanthropy, CBM Australia, The Cybec Foundation, The Aspen Foundation and “K” Line Logistics. Funding for work on the Implementation of the Roadmap to Close the Gap for Vision has been provided by the Department of Health for 2013 – 2014. According to the latest census figures from 2011, there are 548,370 people in Australia who identify as Aboriginal or Torres Strait Islander. In the Northern Territory just under 27 per cent of the population identified as Indigenous. Across the rest of the country, the proportion of the state or territory population who identified as Indigenous was 4 per cent or less. But Aboriginal and Torres Strait Islander people remain over-represented in prison system, have lower average life expectancy, higher child mortality rates and a higher likelihood of living in poverty. Earlier this year, then prime minister Julia Gillard delivered the latest report card on the Government’s efforts to close the Indigenous disadvantage gap. She said the Federal Government’s investment in the portfolio has been unprecedented but she noted eliminating disadvantage would take a sustained commitment over many years from all governments, the business sector, non-government organisations, Indigenous people and the wider community. What aspects of Indigenous Affairs policy do the major parties agree on? The major parties have given in principle backing for this goal. Former prime minister Julia Gillard originally agreed to hold a referendum by the 2013 election but shelved that plan because of a lack of public awareness about the issue. Instead an Act of Recognition was passed in Federal Parliament in February 2013 on the anniversary of the national apology with a two-year sunset clause for holding a referendum. The Coalition has also committed to put forward a draft amendment to the Constitution within 12 months of winning government and establish a bipartisan process to assess its success. There are some differences of opinion between the parties about the exact wording that should be used to make the constitutional amendment. Federal Parliament has established a Joint Select Committee on Constitutional Recognition of Aboriginal and Torres Strait Islander Peoples. They are working with the funded group Recognise. Despite the bipartisan agreement to hold a referendum, the issue became political divisive in July when Kevin Rudd announced his intention to hold a referendum within two years and asked the Opposition Leader Tony Abbott to “join that journey”. Mr Abbott reacted by pointing out the Coalition’s one-year timeframe for an amendment means an Abbott government would act more quickly on the issue than a re-elected Labor government. Close the life expectancy gap within a generation. 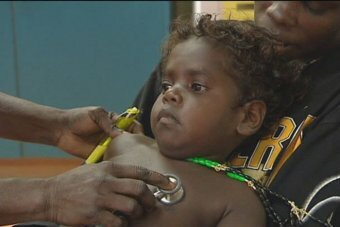 Halve the gap in mortality rates for Indigenous children under five within a decade. Ensure access to early childhood education for all Indigenous four-year-olds in remote communities within five years. The Government says this will be met this year. All parties have expressed interest in ensuring there are Aboriginal and Torres Strait representatives holding seats in Federal Parliament. 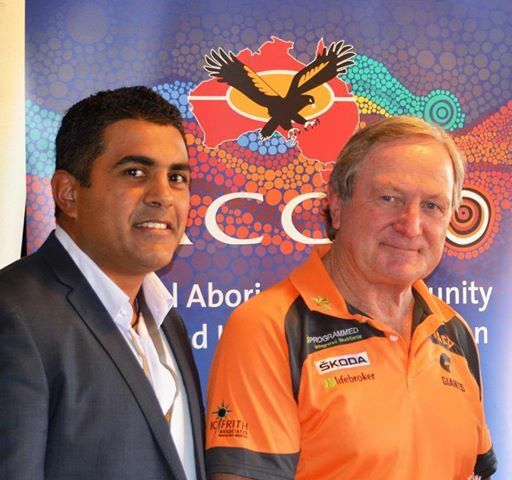 The Coalition welcomed the first Indigenous Lower House MP, the member for the WA seat of Hasluck Ken Wyatt at the last election. The former prime minister Julia Gillard intervened in local preselections in the Northern Territory this year to appoint a “captain’s pick” for the top spot on Labor’s NT Senate seat, Nova Peris. She will be the first Aboriginal woman to represent the party in the Federal Parliament if successful. The Greens have a policy aim to ensure Aboriginal people have political representation, and the party has recruited a number of Aboriginal candidates for this year’s election. The major parties have all promoted the idea of ensuring Aboriginal people living in remote communities have access to a job. The high unemployment rates in the communities are partially due to the lack of economically viable industry in those areas. Labor has been promoting private investment to create jobs. The Coalition is also focused on the need for economic investment and has flagged the prospect of flying workers in and out of nearby resources projects so they remain connected to their home country but are also earning money to support their families. The Greens policy emphasises the importance of Aboriginal communities determining the kinds of economic projects they have in and around their communities. Under Labor the portfolio has been held by Minister Jenny Macklin. The Coalition has appointed NT Senator Nigel Scullion as its spokesman. Opposition Leader Tony Abbott has announced that if elected, the portfolio would become part of Prime Minister and Cabinet. Senator Scullion would remain as spokesman but Mr Abbott says he would also effectively be the Prime Minister for Indigenous Affairs. 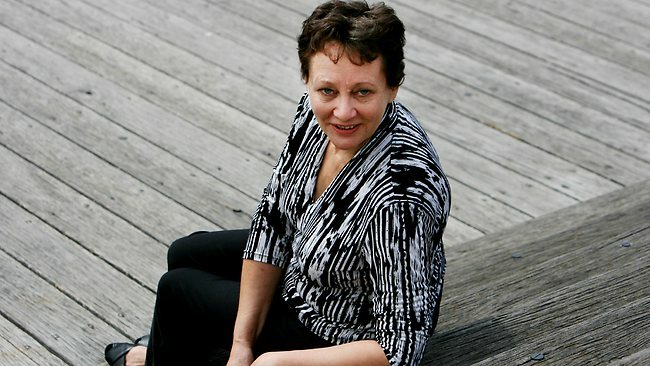 The Greens have also had a spokeswoman Rachel Siewert appointed to oversee the portfolio. 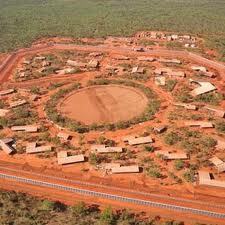 The Coalition announced an Intervention into the Northern Territory under former Prime Minister John Howard. Labor changed some elements of it when it implemented the Stronger Futures legislation. The Greens want to rescind those laws. In the 1970s, family groups in the Northern Territory, Queensland, Western Australia and South Australia began to reject the mission and settlement communities where they had been relocated, and wanted to move back to their traditional and ancestral lands. The remote Homelands have been an ongoing political issue because it is expensive and inefficient to provide services to them. It is estimated that thousands of people are continuing to live in the Homeland environment, particularly in the Northern Territory. The Federal Government was responsible for Homelands until the former Liberal prime minister John Howard handed responsibility to the NT government as part of the Northern Territory Emergency Response in 2007. As part of Labor’s 2012 Stronger Futures package, the Federal Government has committed $206 million for basic services in the NT, including water, power, roads, sewerage and other infrastructure. The Coalition’s Indigenous Affairs spokesman Nigel Scullion has criticised the Government for not providing enough funding for adequate service provision. He has also stated the Government should not be funding the services and they should be paid for with council rates. The Greens have a strong view that Aboriginal people should have government support to maintain a connection with their traditional lands. Labor is hoping to seal a deal with all the states and territories, along with the Catholic and independent sectors on its Better Schools package as recommended in an expert report conducted by David Gonski. The report outlines a funding formula with a base figure for all students and extra loadings. Some of those loadings are specific to remote areas and Indigenous students. The Coalition has sent mixed messages about whether it would honour the deal in government but it is unlikely unless most, or even all, schools sign up. The Coalition is more likely to extend the existing funding model if elected. The Greens say remote communities should have access to government services and the party advocates for culturally appropriate education incorporating language and culture. Income quarantining- supported but not linked to school attendance. Instead it is proposed there would be on-the-spot fines for parents. What don’t we know about the major parties’ policies? The major parties had not released their full Indigenous Affairs election policies by the middle of the year, though Mr Abbott and Ms Macklin have delivered key speeches outlining their vision for the portfolio this year. The Greens have a policy document on their website and have flagged the prospect of some further announcements before the election is held. 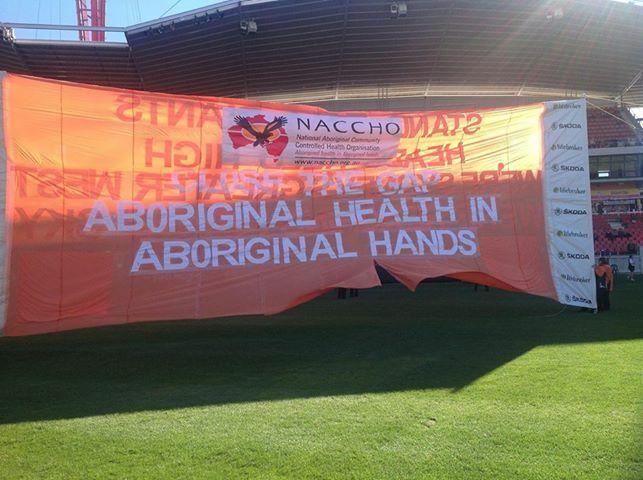 The National Aboriginal Community Controlled Health Organisation (NACCHO) will hold their first ever National Aboriginal Primary Health Care Summit in Adelaide later this month. The inaugural summit, which goes for three days, will bring health service professionals from around the country together to discuss national, state and local best practice in health management, and focus on three key themes: primary health care, governance, and workforce. 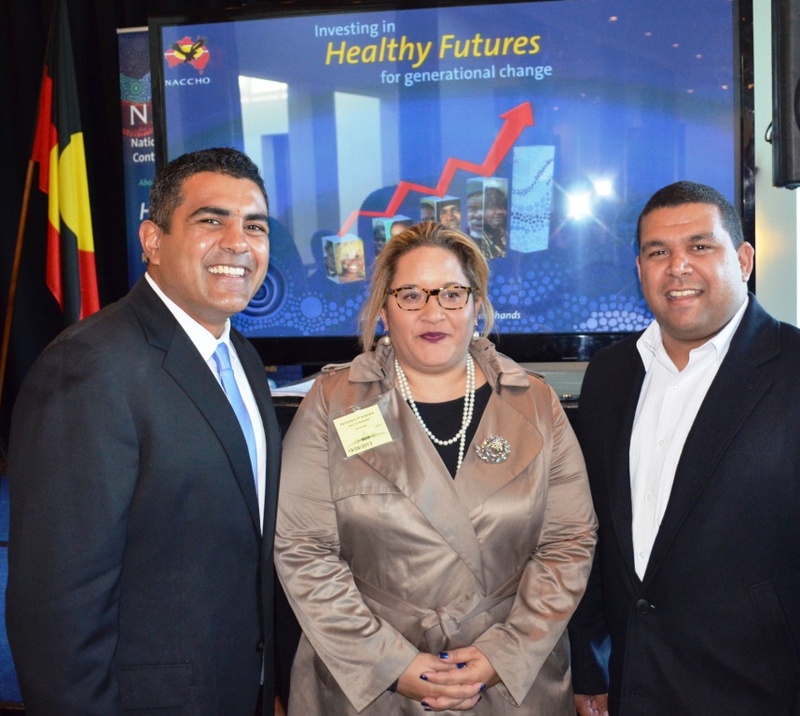 NACCHO Chair, Justin Mohamed (pictured above left with Megan Davis and Deputy Matthew Cooke) said the Health Summit was a great opportunity to showcase the incredible contribution Aboriginal Community Controlled Health Organisations are making in their communities. “We have concrete evidence that Aboriginal health in Aboriginal hands is what is really making the difference in achieving health outcomes for our people,” Mr Mohamed said. “We are seeing big improvements in child birth weights, maternal health and management of chronic diseases like diabetes, highlighted recently in a report by the Australian Institute of Health and Welfare (AIHW) Healthy for Life Report Card. “The Aboriginal community controlled health model has been working well for 40 years, and it is important that we get together to share best practice and discuss issues and areas where we can make improvements. “Over the three days, summit participants will hear from Aboriginal leaders who are making a real difference in their communities. “Our culturally appropriate health providers with majority Aboriginal governance are not only providing comprehensive primary health care to just under half of Australia’s total Aboriginal and Torres Strait Islander population, but are one of the largest employers of Aboriginal people as well. “There is still a long way to go to Close the Gap and to build a healthy future for all Aboriginal and Torres Strait Islander people. Aboriginal Community Controlled Health Organisations are part of this picture and achieving targets to deliver better health outcomes. A NEW engagement with Aboriginal people should be one of the hallmarks of an incoming Coalition government. While our forefathers created a country we can be proud of – perhaps the most magnificent country on earth – there is no escaping the fact that the dispossession and marginalisation of Aboriginal people is by far the most troubling feature of our national story so far. News Limited is right to revisit this essential national issue. As Paul Keating put it so eloquently over two decades ago, chronic indigenous disadvantage constitutes a stain on our nation’s soul. Until the first Australians can fully participate in the life of our country, we are diminished as a nation and as a people. Of course, progress has occurred, but there is still much to do. There is a new spirit in this land that reaches out to embrace the indigenous people of our country, so different from the prejudice that prevailed when I was young. Still goodwill hardly matters, if adults aren’t going to work and children aren’t going to school. Of course, the knowledge, understanding and identification of culture is a rich foundation for the emotional and spiritual growth of indigenous children but equally, if it’s not accompanied by a decent education in English and a secure home life then their growth and emergence as strong, well adjusted and healthy young adults will not occur. There can’t be one standard for the Australian community at large and a different one for Aboriginal people. Adults have to go to work (or work programs) and kids have to go to school. That is not to say there is a single mechanism or structure that will suit every community. As Ken Wyatt, the House of Representative’s first indigenous member has cautioned, there are no “one size fits all” solutions here. In this area, more than most, policy makers’ over-riding instinct should be: “first, do no harm”. Nevertheless, if elected, a Coalition government will co-operatively work with the states and territories, and offer the communities ready to try it, a different, less prescriptive type of governance structure. To give an example of how it could work, as part of welfare reform in Cape York, the Family Responsibilities Commission, which is guided by magistrates, local elders and community leaders, has been working with local and national agencies to help deal with family dysfunction. The success of this model has seen dramatic improvements in school attendance rates and some improvement in the “tone” of several Cape York communities. There may be other regions that would benefit from their own fit-for-purpose arrangements. Idleness and boredom in any community leads to dysfunction, that’s why getting adults to work and kids to school is so important. Idleness is never healthy and, inevitably, eats away at self-esteem. It harms the soul. Idleness, substance abuse and a breakdown in social norms are inevitably linked. That’s why we’ll work in the Northern Territory and elsewhere with local authorities and communities to best determine how we can create safer communities and help local people access jobs and education opportunities – because education and jobs are antidotes to idleness. Making indigenous communities safer and stronger has to start at the top of government. That’s why, if elected, a Coalition government will see indigenous affairs handled within the Department of Prime Minister and Cabinet. This means that along with Nigel Scullion as minister, there will be, in effect, a Prime Minister for Aboriginal Affairs. It’s also why I have pledged, should I become prime minister, to spend at least a week every year in a remote indigenous community. If these places are good enough for Australians to live in they should be good enough for a prime minister and senior officials to stay on. I do however want to add a few words of caution. It would be presumptuous, even arrogant to thank that any incoming government could swiftly overcome two centuries of comparative failure. If elected, it would be equally complacent, even neglectful, for a new government not to commit from day one, to redressing the most intractable difficulty our country has ever faced. A flurry of activity from any new government lapsing into business-more-or-less-as-usual won’t be good enough. A new cycle of enthusiasm-turning-into cynicism will not do. We must steadfastly address this urgent national challenge, so that indigenous Australians fully share in the bounty of being part of one of the most free, fair, and prosperous countries on earth. The National Community Controlled Health Organisation (NACCHO) today welcomed the Closing the Gap Progress Report findings as confirmation that the program is working, but that there is still more to be done to ensure that the gap between Aboriginal and Torres Strait Islanders and other Australians does not widen. 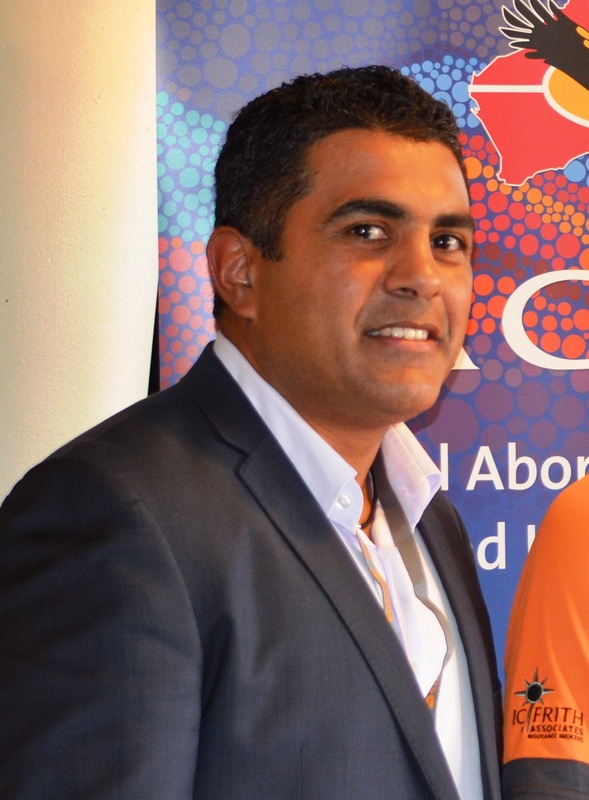 NACCHO Chair, Justin Mohamed (pictured above) , said that it was imperative to continue the good progress made in halving the gap in child death rates, improving early childhood education and year 12 or equivalent attainment. “The Close The Gap programs are working towards achieving their goal, and improving the health and life expectancy of Aboriginal Australians,” said Mr Mohamed. 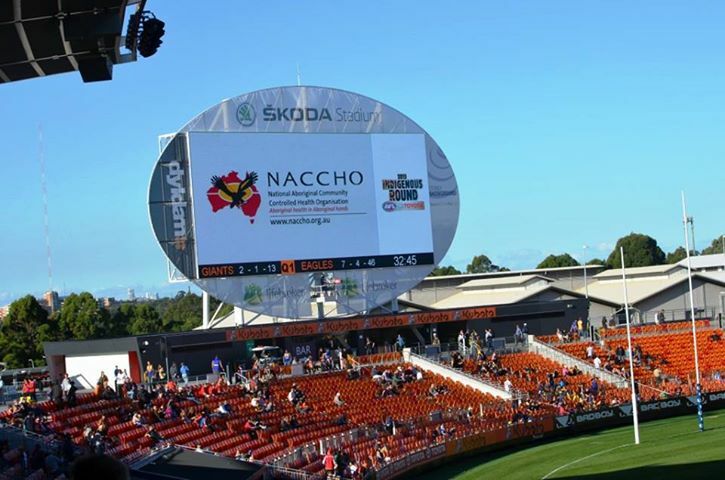 “The 150 Aboriginal community controlled health organisations (ACCHOs) that NACCHO represents continue to work to improve Aboriginal health and wellbeing across the board at a local community level, providing over 75 per cent of the work on-the-ground to Close The Gap. “While we have seen vast improvement in child death rates, more must be done to address the overall mortality rates. 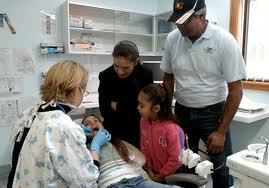 “The death rates of Aboriginal Australians have seen little change. The main cause of deaths for Aboriginal Australians is circulatory disease – attributed to the high level of tobacco usage, poor diet, physical inactivity and hypertension. “It’s imperative that Close The Gap gets long term investment from governments, rather than just three or four year funding phases, to ensure that they have resources to deliver these vital services. “The National Partnership Agreement hangs in the balance – which means some of these programs are on a precipice – whilst the Federal Government has renewed its commitment, States and Territories are lagging behind. “We need Aboriginal health and Close The Gap to be a priority for all governments that goes beyond party politics. These programs which have taken a foothold must be allowed to continue to grow and build momentum so that Close The Gap can continue to improve Aboriginal peoples’ health and chances in life. “Aboriginal ill-health and mortality rates present a grim picture – one that is out of step comparative to other Australians. “Close The Gap is about improving outcomes for Aboriginal people, but unless these vital programs get ongoing funding, our chance at increasing life expectancy and health for Aboriginal people narrows. “Aboriginal comprehensive primary health care provided by Aboriginal communities is the key to making a difference to Aboriginal health outcomes,” said Mr Mohamed. Australia is on track to halve the gap in child death rates between Aboriginal and Torres Strait Islander people and other Australians but a much greater effort is needed to achieve equality in life expectancy by 2030, an independent report has found. Mr Gooda said addressing child mortality is critical in efforts to close the gap and will help drive improvements in life expectancy for Aboriginal and Torres Strait Islander people. However, Mr Gooda said more needs to be done because Aboriginal and Torres Strait Islander people are still dying at nearly twice the rate of other Australians. “The reduction in the death rate for Aboriginal and Torres Strait Islander children is a real step forward, but there is long way to go to improve child health outcomes more broadly. “The good news is that 91% of Aboriginal and Torres Strait Islander children in remote communities are enrolled in a preschool program and the new attendance target is welcomed. “We believe the improvements outlined in this report point to what’s possible when we have co-ordinated and long term action from all governments,” Mr Gooda said. The findings, released today, are part of a report prepared for the Council of Australian Governments (COAG) on behalf of the COAG Reform Council. The report assesses the progress of Australian governments against the Closing the Gap targets on education, employment and health. Ms Broun said it is essential that all governments recommit to the National Partnership Agreement (NPA) on Closing the Gap in Indigenous Health Outcomes as a matter of urgency. “We call on all Australian Governments to put greater effort into closing the life expectancy gap by 2030,” said Ms Broun. “So far, the Federal and Victorian governments have renewed their funding commitment to the NPA. We urge all other Australian governments to commit to the future health of our people through a renewed NPA. “In this federal election year, it’s important to remember that the Closing the Gap agenda is a truly multi-partisan national project which must be backed by multi-decade commitments spanning policy cycles, funding agreements and governments”, she said. MORE action is needed to close the life expectancy gap between indigenous and non-indigenous Australians to meet the 2031 target, a national report warns. The life expectancy gap is 11.5 years for men and 9.7 years for women. In 2008, federal, state and territory governments agreed on six targets to tackle indigenous disadvantage in life expectancy, health, education and employment. Only the Northern Territory is on track to close the life expectancy gap, according to the Council of Australian Governments (COAG) Reform Council report released on Wednesday. Heart attacks and strokes were the most common cause of Aboriginal deaths. Death rates had declined in Queensland, but not at the needed pace, while NSW and South Australia were not on track to achieve the target, the COAG report said. Western Australia’s indigenous death rates had also dipped, but the state had not set a target. The report noted progress in reducing the death rates of Aboriginal children aged under five. But it found half of indigenous mothers were still smoking during pregnancy. Literacy and numeracy skills of indigenous children were also lagging behind, the report said. On efforts to increase indigenous employment, it said only NSW had seen some improvement. The early childhood education target to improve access to preschool for all indigenous four-year-olds in remote communities is expected to be achieved this year. The federal government accepted the COAG report’s recommendation to set a new target to boost attendance levels in preschool programs. Year 12 completion rates for indigenous children had improved, and WA, SA, NT and ACT were on track to meet the 2020 target, the report said. National Congress of Australia’s First People spokesman Les Malezer said the small improvements in the report were welcome, but it also came as a warning that more work was needed. Total government expenditure on Indigenous health has risen significantly since the commencement of the National Partnership Agreement (NPA) on Closing the Gap in Indigenous Health Outcomes in 2009-10 and now represents about 5.1% of total government health expenditure. This paper presents the author’s analysis of the Indigenous provisions in the Australian Government’s 2013-14 Budget in the context of current and past strategies, policies, programs and funding support. It also looks at the implementation and impact of the Commonwealth’s Indigenous Chronic Disease Package. This work has been done using only materials and data that are publicly available. The opinions expressed are solely those of the author who takes responsibility for them and for any inadvertent errors. This work does not represent the official views of the Menzies Centre for Health Policy, the Australian Primary Health Care Research Institute (APHCRI) or the Commonwealth Department of Health and Ageing which funds APHCRI. This amounted to $4.7 billion in 2010-11; of this, the Commonwealth provided about one-third ($1.6 billion). However while there is a significant effort underway to close the gap in Indigenous disadvantage and life expectancy, in most areas this effort has yet to show real returns on the investments. The disadvantages that have built up over more than 200 years will not disappear overnight, and sustained and concerted efforts are needed to redress them. Chronicdiseases, which account for a major part of the life expectancy gap, take time to develop, and equally, it will take time to halt their progress and even longer to prevent their advent in the first place. Programs will need to be sustained over decades if they are to have an impact on improving health outcomes. On this basis, it is worrying to see that continued funding for the NPA on Closing the Gap in Indigenous Health Outcomes, as announced in April, will be less over each of the next three years than in 2012-13. At the same time, the Budget Papers show that expenses in the Aboriginal and Torres Strait Islander health sub-function will decline by 2.7% in real terms. This comes as states such as Queensland and New South Wales have made damaging cuts to health services and Closing the Gap programs. Education is a significant determinant of health status so it is also concerning to see a reduced level of funding provided for Indigenous education over the next six years, especiallywhen efforts to close the gap in education for indigenous students have stalled. These cuts inhealth and educations commitments cannot be justified by saying that Indigenous Australianscan access mainstream programs. In many cases these are absent, inappropriate, or perceived as culturally insensitive, despite recent efforts to improve these deficits. It is a strength of the COAG commitment to close the gap on Indigenous disadvantage that it recognises that a whole-of-government approach is needed to deliver improvements in the lives of Indigenous Australians. 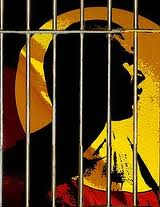 NACCHO social policy news:Indigenous Australians a quarter of Australia’s prisoner population. It’s a social policy disaster.But could there be solution! Firstly though, politicians and the public alike need to understand and admit that the current policy ethos, and its reliance of incarceration, is a failure, both socially and economically. But could there be solution! The continual rise in incarceration rates of Indigenous Australians represents nothing short of social policy disaster. If reducing the numbers of those in prison is to be achieved, then we need to end the reliance on incarceration and invest more into new thinking and rigorous research on non-incarceration alternatives. Marking 20 years of monitoring since the Royal Commission into Aboriginal Deaths in Custody, the Australian Institute of Criminology finally released its ‘deaths in custody‘ report last Friday and the figures reaffirm the increasing over-representation of Indigenous persons in custody. In 20 years rates have gone from one Indigenous person in seven incarcerated to one in four. Indigenous persons make up 26 per cent of the prisoner population yet only constitute 2.5 per cent of the Australian population. The over-representation of Indigenous persons in Western Australian prisons is the highest of any Indigenous group in the OECD. Addressing Indigenous over-representation in custody requires new thinking and tested approaches to the offender population. Australia spends $2.6 billion a year incarcerating adults. Punitive penal policies cost Australia big time. While happy to scrutinise the effectiveness and efficiencies of all other sectors and services, political authorities seem quite content to overlook the billions poured into the prison system. The return on this ‘investment’ amounts to very little. It simply does not prevent re-offending. Longitudinal studies show that two-in-five people are re-imprisoned within two-to-five years of release. Those who advocate for new thinking beyond the current social policy failures have hailed Justice Reinvestment (JR) as one new approach. Justice Reinvestment was introduced to the US in 2003 by the Open Society Institute and has subsequently been adopted in eleven US states. It involves identifying geographic areas from where significant numbers of the incarcerated population emanate and investing in services in these areas. Importantly, at the policy level JR aims to divert funds that would be spent on criminal justice matters (primarily incarceration) back into local communities to fund services that are said to address the underlying causes of crime, thus preventing people from engaging with the criminal justice system. Detention under this model is seen as a last resort – for only the most dangerous and serious offenders. The goal is to shift the culture away from imprisonment and to restoration within the community through restorative health, social welfare services, education-employment programs and programs to prevent offending. The effectiveness of JR was reported on at the First National Summit on JR in Washington in 2010, where lawmakers from several American states discussed how they had enacted policies to avert projected prison growth, saving several hundred million dollars, while decreasing prisoner numbers and recidivism rates. Australian scholars have reservations about the type of JR model adopted in some US states, specifically querying who controls and receives the funding. Is it the community-sector or another state agency? Former Aboriginal and Torres Strait Islander Social Justice Commissioner Dr Tom Calma commended JR as a possible solution to Indigenous over-representation in Australia’s criminal justice system. Several other Australian commentators have followed suit. Despite the increasing popularity of JR, Australia so far lacks evidence to support it beyond its appealing rhetoric and, some might argue, simplistic notion as a viable policy alternative. Members of the Indigenous Offender Health Research Capacity Building Group (IOHR-CBG) and the Australian Justice Reinvestment Project based at the University of NSW have begun research efforts to address this paucity of information, . Following two national Justice Reinvestment forums convened by IOHR-CBG member Dr Jill Guthrie, a three-year JR research project has begun at National Centre for Indigenous Studies. Using a case study approach, the research explores the conditions, governance and cultural appropriateness of reinvesting resources otherwise spent on incarceration, into services to enhance juvenile offenders’ ability to remain in their community. There is also a Citizens’ Jury research project being run this year by IOHR-CBG researchers aimed at eliciting the values and priorities of a critically informed Australian community with respect to JR.
Citizens’ Juries have been used in various policy fields internationally, including in health in Australia. They involve bringing together group of randomly selected citizens, giving them a variety of evidence-based information on the issues to hand and asking them, as representatives of the community, about their preferences for certain policy options or priorities for resource allocation. The project also assesses how the results of the Citizens’ Juries might influence the decision making of government policy makers. Research of this nature is critical in order to imagine and test new and viable alternatives to incarceration. Unfortunately, the current amount invested in such research is minute. As the recently-emerged adage says, a ‘tough on crime’ approach needs to be replaced by a ‘smart on crime’ approach. A new policy platform to justice is well overdue. This platform must be informed by evidence and not the tired political populism that exploits the fears of the electorate if we are to ever make inroads in reducing the hugely disproportionate Indigenous incarceration rate in Australia. Paul Simpson and Michael Doyle are research fellows with the Justice Health Research Program at the Kirby Institute, University of NSW, and are also members of the Indigenous Offender Health Research Capacity Building Group. Minister for Health Tanya Plibersek today released the final report of the independent review into Australian Government’s health workforce programs. The report makes 87 recommendations covering Commonwealth programs that target the medical, dental, allied health, nursing and midwifery and Aboriginal and Torres Strait Islander health workforces. Upon reading chapter 5, NACCHO has noted that it contains much information provided to the various contributors of this review, from our sector. It was pleasing to see that these consultations had value. The chapter highlights achievements but also addresses many of the challenges that still need to be addressed and recommendations that cannot be ignored if the Australian government are to significantly increase the Aboriginal and Torres Strait Islander Health workforce. It addresses pay equity and funding of RTO’s. It promotes the continued funding of peak Aboriginal bodies. Tertiary education providers should consult with Aboriginal and Torres Strait Islander communities on a whole-of-institution strategy to increase the number of Aboriginal and Torres Strait Islander students in health courses. Strategies should include student support and curriculum matters. Recommendation 5.1: must be coordination of activities aimed at building the capacity of theAboriginal and Torres Strait Islander health workforce.. Recommendation 5.3: continue consultation with National Congress of Australia’s First people’s National Health Leadership Forum…. 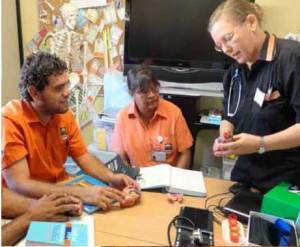 Recommendation 5.4:build on the success of LIME by reconfiguring this group to include support and mentoring for all Aboriginal and Torres Strait Islander tertiary level health professions including nurses, midwives, dentists and allied health professions…. Recommendation 5.6: compliment 5.5 by the development of Aboriginal and Torres Strait Islander academic leaders/champions and Aboriginal and Torres Strait Islander student support networks that would provide culturally appropriate mentoring, counselling…. “I commissioned this review of our health workforce programs to ensure that Australian communities have access to a highly qualified health workforce now and into the future,” Ms Plibersek said. “As a first step in responding to the review, I have accepted the report’s recommendations to provide a more advanced system for classifying rural locations and areas of workforce need to determine eligibility for support and funding through many Commonwealth workforce programs. “This will build on and update the Australian Standard Geographical Classification – Remoteness Areas (ASGC-RA) system, providing customised enhancements to current methods of determining eligibility for program support. Ms Plibersek said the Government will also develop a model for a new and more integrated rural training pathway for medical graduates, with the potential to extend this approach to other health disciplines. “This model will be designed to build on the Government’s existing rural health training initiatives so that students who are interested in a career in rural health have a more seamless transition between their education, training and employment. The report was led by former Director General of the NSW Departments of Human Services and Community Services, Ms Jennifer Mason, and was informed through an extensive consultation process. “I’d like to thank Ms Mason for delivering this important report, and for the health community’s involvement to help guide its development,” Ms Plibersek said. “The report has raised a number of critical issues covering our health workforce programs and key reform areas. We will now carefully consider all the recommendations and any potential implications they may have,” she said. The Australian Government has invested more than $5.6 billion into training the nation’s health workforce to deliver more doctors, nurses and other health professionals to where they are needed. The Gillard Labor Government is investing nearly $1.3 million to continue supporting the next generation of Indigenous leaders, in partnership with the Australian Football League (AFL). As footy fans aatended the annual Dreamtime game at the MCG tonight, the Government was pleased to announce its continued investment in youth programs run by the AFL and the Richmond Football Club, which are helping young Indigenous Australians gain new skills and become role models for others. The Long Walk and Dreamtime at the G are nationally celebrated events that recognise the important contribution that Indigenous people make to our country, both on and off the field. The Government is also supporting the Long Walk – which is led every year by Michael Long to raise awareness of Indigenous issues – with a $30,000 grant to support the organisation. The Gillard Government is proud to partner with the AFL to develop Australia’s next generation of Indigenous leaders. The Government will provide more than $970,000 over the next three years to the Richmond Football Club’s Korin Gamadji Institute to continue the successful Richmond Emerging Aboriginal Leaders (REAL) program. The REAL program provides leadership and mentoring opportunities for Indigenous students from across the country aged 13 to 16 years, giving them new vocational skills and setting them up for successful careers. A key part of the program includes camps held over four days each year in Melbourne and Alice Springs, which build student’s leadership skills, self-esteem and cultural connections, so they can be young leaders in the own communities. Students also benefit from direct mentoring from Richmond footballers, including Shane Edwards and Steven Morris. This new funding builds on the $6.75 million the Australian Government has previously invested to launch the REAL program in 2012. Since the initiative began, more than 180 Indigenous students have benefited from the REAL leadership camps and ongoing mentoring programs. Students have had successful work experience placements at a number of different employers, and have taken part in the Koori Youth Council and the National Indigenous Youth Leadership Academy. Helping to build young Indigenous leaders is a critical part of closing the gap on Indigenous disadvantage. The Richmond Football Club and the Korin Gamadji Institute are doing fantastic work to make sure young Indigenous people from across Australia are on the right track to succeed as adults and become role models for other young people. The Gillard Government will continue to support the AFL’s Club Partnership Program, with a further $300,000 in funding for 2013. Under the Club Partnership Program, six AFL clubs work with Indigenous communities in the Northern Territory and South Australia to help young people stay connected to school and reduce the risk of truancy, violence and substance abuse. The clubs – Richmond, Essendon, Geelong, Hawthorn, Adelaide and Port Adelaide – organise player visits to their partner communities at least twice a year to work with young Indigenous people and maintain contact with them throughout the year. The Australian Government has invested more than $1.4 million in the program since 2007, benefitting young people in remote Indigenous communities including Tiwi Islands, Wadeye, Groote Eylandt and communities in the APY Lands. This new funding will build on the success of the current program and expand to work with young Indigenous women across the country through the AFL Female Kickstart program.